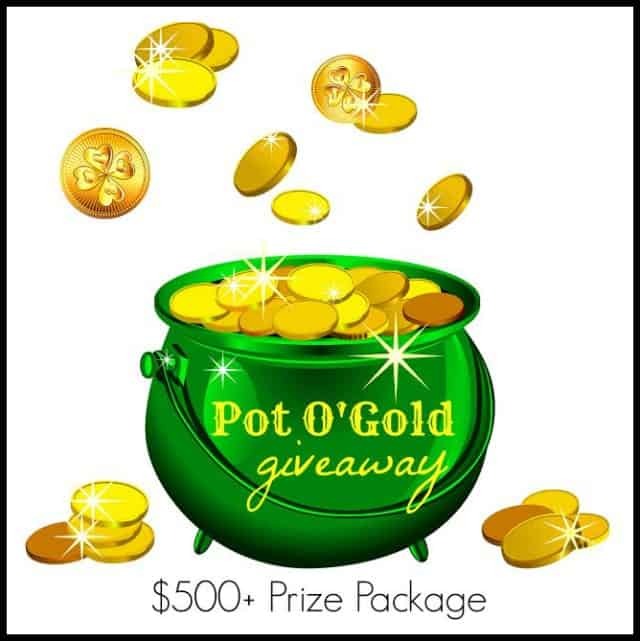 Pot O’ Gold Giveaway – $500 Value! Now that March has arrived, are you hoping that the little green leprechaun will pay you a visit? Well, here’s your chance! I’ve teamed up with several other bloggers to bring you a chance for one person to win a gift prize package valued at $500 from 10 very generous sponsors! The giveaway starts March 2nd at 6:00am EST and ends March 16th at 11:59pm EST. It’s easy to enter using the rafflecopter below. If you’re reading this post via a reader (like email, Bloglovin’ or Feedly, for example), you’ll probably need to exit the reader and go directly to my blog post to be able to get the rafflecopter to load. The Fine Print: The Pot O’Gold Giveaway starts on March 2, 2015 at 6:00 AM and ends on March 16, 2015 at 11:59 PM EST. Open to Legal Residents (18 years of age or older) of the U.S. only. Prizes cannot be shipped to PO Boxes. Winner will be selected at random by Rafflecopter and will be notified by email on St. Patrick’s Day, March 17, 2015.and be notified by email. Winner will have 48 hours to respond before a new winner is selected. Please note the 23 bloggers participating in this sweepstakes are not responsible for sponsors that do not fulfill their prizes. We have represented each sponsor with the expectation they will fulfill their prize and in a timely manner. We will contact the sponsor regarding your prize(s). 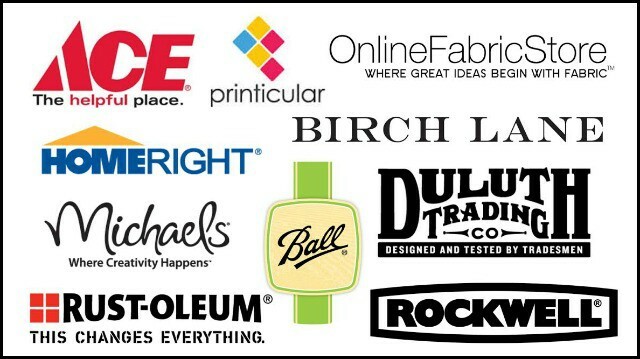 The sponsors, in most cases, are shipping their items to you directly. We will make every effort to assist you in obtaining your prize. If there is an issue with a sponsor, please notify the blog you won a prize from within 30 days for assistance, after that we may be unable to assist you. The product provided for the review was free of charge from the company. The product offered for the giveaway is free of charge, no purchase necessary. My opinions are my own and were not influenced by any form of compensation. Facebook, Pinterest, Twitter and Google+ are in no way associated with this giveaway. By providing your information in this form, you are providing your information to the participating bloggers. We do not share or sell information and will use any information only for the purpose of contacting the winner. Thanks for great giveaway .